The deep shade of sage green of these handmade encaustic cement tiles makes them perfect to complement light-coloured furnishings. Each one is individually hand-crafted, and the dark shade of green will never wear off due to the thickness of the colour layer. Furthermore, the different shade gradients and slight variations of the tone, create a warm, welcoming effect, and these encaustic tiles are full of charm, personality and character. Fossils intrigue us with their history and these handmade encaustic cement tiles feel like they could be very, very old. Each one is individually hand-crafted, and the neutral shade of tawny grey will never wear off due to the thickness of the colour layer. Furthermore, the different shade gradients and slight variations of the tone, create a warm, welcoming effect, and these encaustic tiles are full of charm, personality and character. The Hittite Empire encompassed a huge area of what is now Turkey, Syria, and Lebanon and embraced many peoples of different ethnicities who lived together in peace and harmony. These bi-colour handmade encaustic cement tiles reflect that in the way that they fit together to create a magnificent overall design. Additionally, the neutral, natural colours of these encaustic tiles make them perfect to complement a wide variety of decors and furnishings. Pera was the European aristocratic neighbourhood developed by the foreign merchants living in the heart of the Muslim city of Istanbul, and the area still houses many foreign embassies. 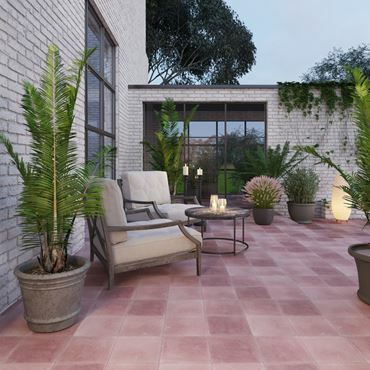 These Turkish hand-crafted cement tiles exhibit a traditional European style. The muted colours of grey, black, and white of these handmade encaustic cement tiles make them very versatile, to complement many different colours of furnishings. The optical illusion of these Escher-inspired handmade encaustic cement tiles gives the impression of a stylised staircase which you will love to climb. Each tile is meticulously hand-crafted, and the thick colour layer means that these decorative tiles will always keep the clear contrast between the grey, black and white. You will create a real impression with these innovative encaustic tiles in your home or business.